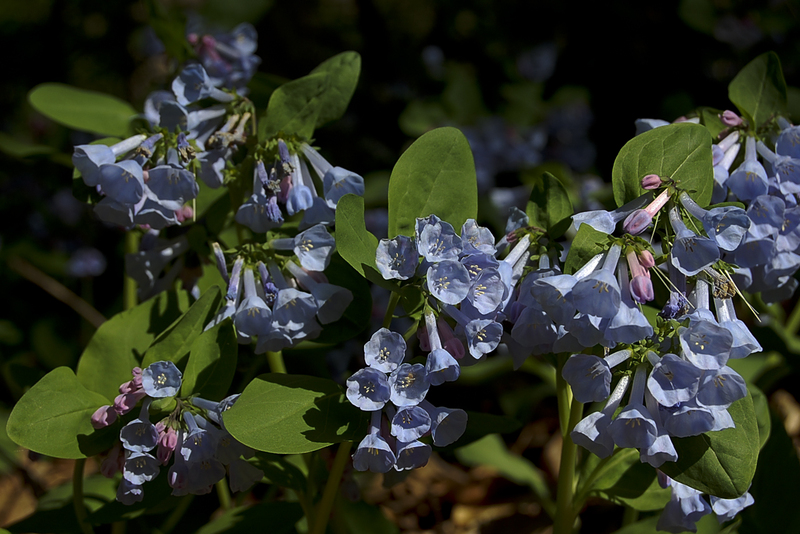 Virginia bluebells on the forest floor cleared of bush honeysuckle. 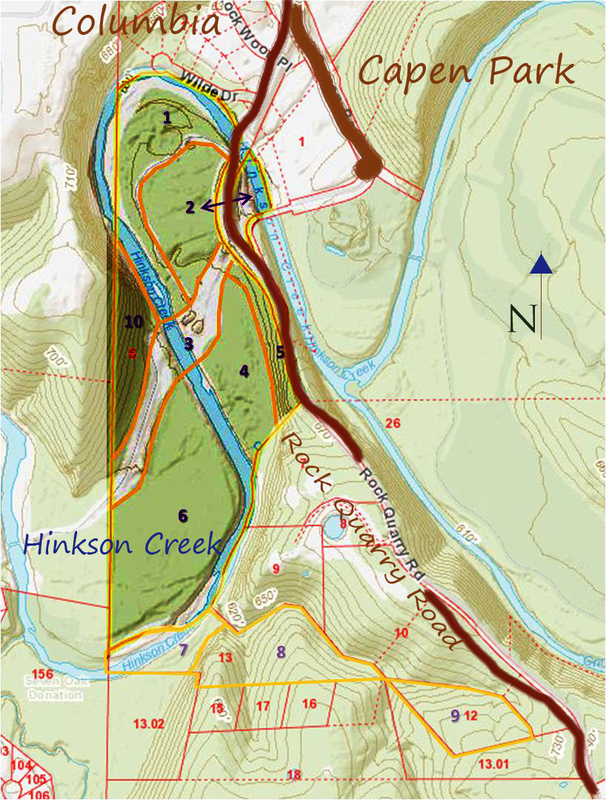 Site – Between 2 bends of the Hinkson Creek near downtown Columbia, Hinkson Valley Nature Preserve includes floodplain forest, upland woodland, and meadow. The site connects with city recreational land, a park, an outdoor education site, and the hike-bike trail connecting this spur with a larger city and county-wide network. The nearly 70-acres are a nature sanctuary and recreational area. With its well-used recreational trail, put in and maintained by the city of Columbia, this property exemplifies the effectiveness of a public-private partnership with shared goals. History – The history of this tract is wrapped up in the vision of three families who bought acreage along the Hinkson Creek for their family homes at the same time, sharing resources and an interest in maintaining a green space. Two of the families then donated a portion to the Nature Conservancy which then passed the stewardship on to Greenbelt Land Trust of Mid-Missouri and is now the Hinkson Valley Nature Preserve. 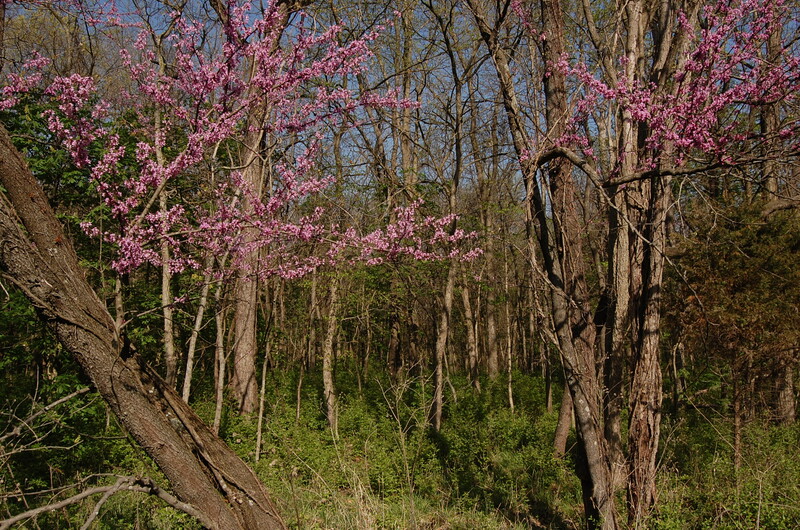 Activity – Hinkson Valley Nature Preserve is the site of regular work days to clear invasive species, primarily bush honeysuckle. Benefiting from community service volunteers from the University of Missouri and other organizations, Hinkson Valley Nature Preserve receives energetic stewardship in the form of workday crews removing invasive species. Thanks to these and individuals’ efforts much invasive honeysuckle has been cleared from the woodland understory. The resurgence of native grasses and wildflowers demonstrates the positive results of concentrated clearing projects. 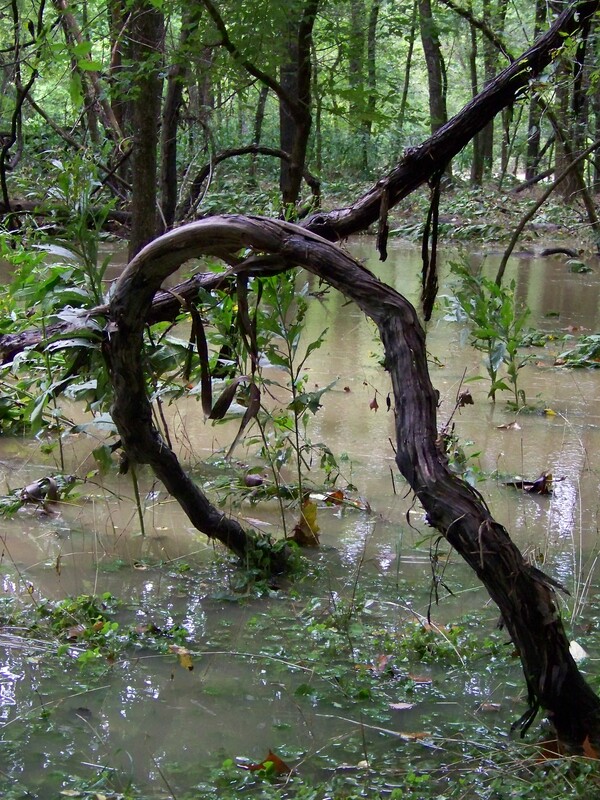 Flood waters of the Hinkson Creek surround trees and heavy grapevines on Greenbelt property.